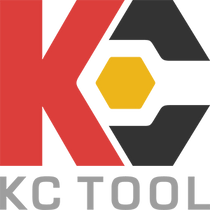 Stahlwille 40aD/10CL 1/4" Socket Set with clip strip 3/16 - 9 /16"
Stahlwille Tools purchased through KC Tool come with a lifetime warranty against material defects or faulty workmanship except for consumable items such as screwdriver bits and socket adapters. Stahlwille torque products are subject to a separate warranty that has guidelines and regulations on repair labs that have been authorized by Stahlwille to perform service and calibration. The warranty for both torque and non-torque products is void if the tool is tampered with, abused, or used in a manner that is not intended by the manufacturer (i.e. using chrome sockets on an impact gun). Stahlwille 40aD 12-pt 1/4" Socket, 5/16"
Stahlwille 40aD 12-pt 1/4" Socket, 3/16"
Stahlwille 40aD 12-pt 1/4" Socket, 9/16"
Stahlwille 40aDL/10CL 1/4" Extra Deep Socket Set with clip strip 3/16 - 9/16"
Stahlwille 40aD/9/4 Socket set 1/4"
Stahlwille 40aD/30/7QR Socket set 1/4"